Stroops was founded in 1996 and has become one of the top resistance training equipment companies in the world. The company focuses on innovative design and strives to deliver industry-leading quality. 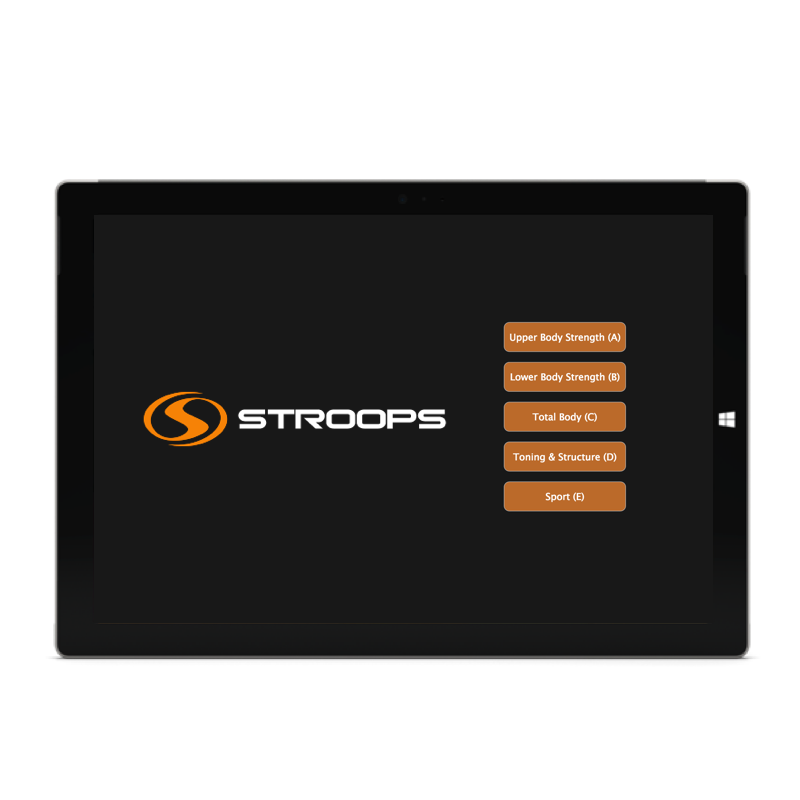 The Stroops Health and Fitness Application needed a new look and feel that could run on the new Microsoft Surface. The app would be installed in fitness clubs and hospitals to train people in the use of Stroops equipment for exercise and rehabilitation. I created clickable wireframes for the initial Microsoft Surface design for usability testing. After several rounds of feedback and adjustments, we created composite designs. I also worked closely with our offshore team during development, to ensure that there were no gaps between the intended and final product.